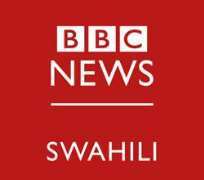 From Mon 1st April, listeners to BBC News Swahili radio programmes can hear fresh new versions of the well-known programmes Dira Ya Dunia and Amka Na BBC. The changes will include new presenters and the introduction of accessible business news as well as impactful content and original journalism. Two roadshows will take place Kenya and Tanzania to mark this re-launch.The roadshows will include the Port city of Mombasa, the tourist town of Kwale, the Kitui Township, Dodoma, Morogoro, Kibaha town and Dar es Salaam. Listeners will hear special broadcasts over five days, from these locations and from local voices there.